Did the Missile Stakes provide more questions than it did answers? Greg Hickman’s opinion of Pierata was vindicated with the four-year-old holding off the late challenge of the unlucky Kementari. They are two outstanding gallopers. That much we know. 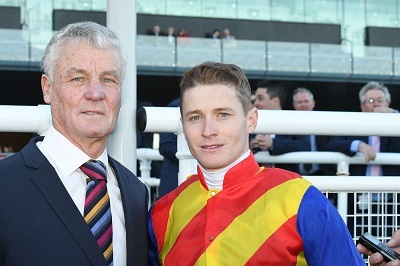 If they both ran in The Everest it’d be no shock to see them again run the quinella. Hickman had been shouting from the Warwick Farm rooftops that Pierata is potentially the best horse he has ever trained. James McDonald was hit with a four meeting suspension for shifting in on Egyptian Symbol at the 700m but it was where he settled in the run, ahead of Kementari, that ultimately won the race. “The ride got him there, it was a 10 out of 10. He might get a tap on the shoulder for pushing in though,” said Hickman. Kementari, who had to push out from underneath the imposing Takedown, which saw Glyn Schofield cop a four meeting suspension of his own, ran his last 600m in 32.78s compared to Pierata’s 32.96s (about a length difference). Punters Intel further reveals most of that variance came in the last 200m with Kementari clocking 11.05s and Pierata 11.27s. “He flashed home strongly. Once he found a run he chased hard and has come back in super order,” said Schofield about Kementari. Then there was the fourth from Lanciato. To call it eye-catching doesn’t do it justice and trainer Mark Newnham admitted it even exceeded his expectations. Punters Intel reveals Lanciato ran his last 600m in a sizzling 32.60s, breaking 11s for four straight splits between the 1000-200m and then recording his final 200m in 11.03s. Lanciato will been seen next in the $200,000 G2 Tramway Stakes (1400m) on September 1 back at Royal Randwick before lining up in the $1m Epsom Handicap four weeks later. The Monster bravely battled away to finish third, certainly doing his Kosciusko claims no harm. TAB reacted by shortening his Kosciusko quote from $11 into $7. Kerrin McEvoy was left wondering himself what trip She Will Reign, having run sixth, is looking for this time back but the Portelli camp will let the dust settle before deciding where she heads to now. “She’ll improve with the run. I said to Gary (Portelli) she just wants a bit more juice in the ground,” said McEvoy. Now for where it leaves Pierata and Kementari in terms of locking down a position for The Everest. James Ross from the ATC confirmed that Pierata elevated himself to be among three horses firmly in the mix for their Everest slot. “We were down to two before today, one of those being Kementari, but Pierata now puts himself firmly in there to be one of the inner three. We’ll be pretty active in the next couple of weeks,” said Ross, who kept his cards close to his chest regarding who the third horse was. 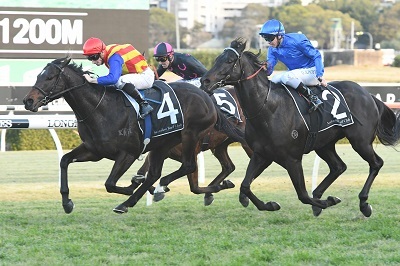 Hugh Bowman (Music Magnate) – "He was disappointing today." Jason Collett (Egyptian Symbol) – "She copped a fair bit of interference."